The hanging light Silvia medium radiates a warm lustre due to its brushed brass finish. When the light is turned on, this attractive effect is enhanced. 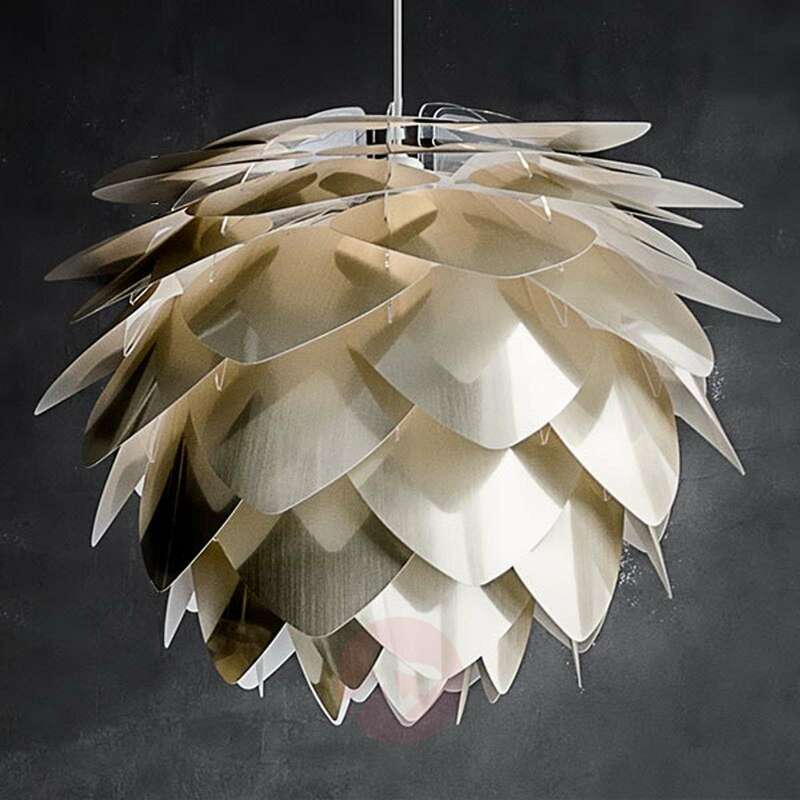 Then the light not only shines upwards and downwards but also penetrates through the small gaps between the leaf-shaped elements which make up the lampshade. Overall, the lampshade looks like an exotic fruit, which is enough to make you dream of heat and light. With Silvia, this does not remain a dream, however: its lighting effect is simply fantastic and produces a very cosy ambience in the room, regardless of whether it is used as the main light or for area lighting. The main objective of the lighting company UMAGE from Denmark is to further develop Scandinavian design in a modern way. This is achieved with its attractive lights which score points with their pure beauty and functionality. Environmental aspects are also taken into consideration in the production of the lights, and great value is attached to the sustainability of the end products.